This book's seven-week strategy takes us from minimal knowledge of the Holy Spirit to a clear understanding of how He works in our lives. - Publisher "Becoming A Man of the Spirit" contains a seven-week strategy that takes readers from a minimal understanding of the Holy Spirit to an integrated understanding of how He works in believers' lives. For men wanting to understand and benefit from the work of the Holy Spirit, this book will help them work with the Spirit on a daily basis as they study His role in their lives. About "Becoming a Man of the Spirit"
"Becoming A Man of the Spirit" contains a seven-week strategy that takes readers from a minimal understanding of the Holy Spirit to an integrated understanding of how He works in believers' lives. 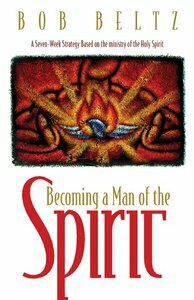 For men wanting to understand and benefit from the work of the Holy Spirit, this book will help them work with the Spirit on a daily basis as they study His role in their lives.